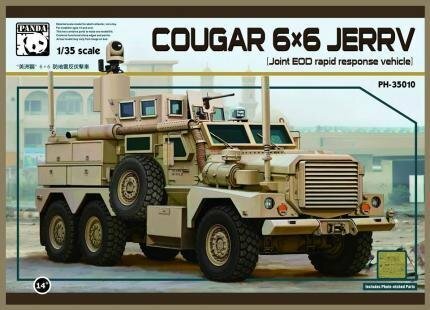 This is a 1/35 scale Cougar 6x6 JERRV MRAP. Panda Hobby. 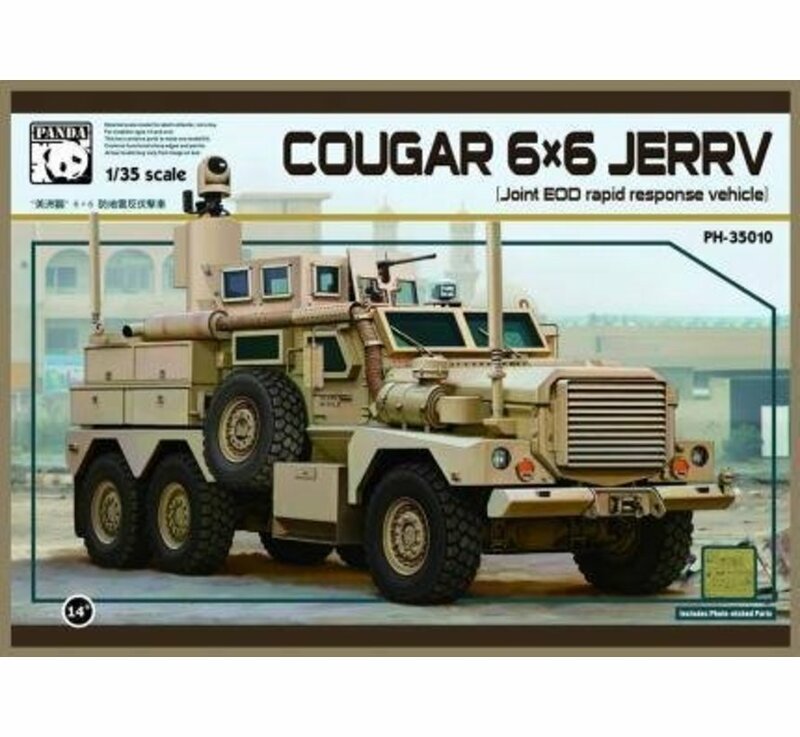 The U.S. Cougar 6x6 MRAP vehicle, developed by U.S. company Force Protection Inc., is an armored vehicle which can withstand roadside bombs attacks and ambushes. 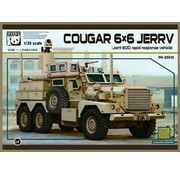 In 2004, Cougar started to serve in U.S. armed forces. It's mainly used for scouting, transporting troops, commanding, towing heavy guns, repairing projects and rescuing. 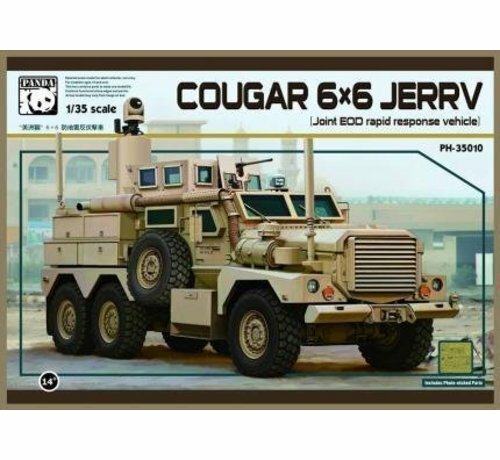 Kit features full cabin interior (bucket seats, dash panel, stowage rack, and more), troop compartment interior (bucket seats, stowage box and more), external stowage boxes, positionable doors, boarding ladder, interior air conditioner, front air-inlet grill, (8) rubber tires (optional spare tire racks on each side of vehicle), suspension and drive train, left and right fuel tanks, optional IED jammer antenna (up or down), roof search light, rotatable M2 Machine Gun with gunners protection turret, jerry cans, photoetch and transparent parts. Decals and color painting reference for a single vehicle - includes dash panel markings.